"Telecom companies need to innovate fast - especially with 5G on the horizon - but they are bound to software that’s slow to deploy and hard to update. Our global teams can customize solutions in months, not years, because our low-code software requires little to no hand coding." 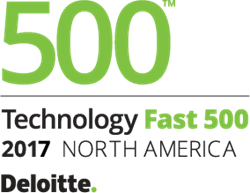 Beesion today announced it ranked 403 on Deloitte’s Technology Fast 500™, a ranking of the 500 fastest growing technology, media, telecommunications, life sciences and energy tech companies in North America. Beesion grew 196% percent during the period of 2013-2016. Beesion’s chief executive officer, Omar Merchan, credits the transformative power of its low-code technology and its global commitment to customer success with the company’s 196% revenue growth. He said, "Telecom companies need to innovate fast - especially with 5G on the horizon - but they are bound to software that’s slow to deploy and hard to update. Our global teams can customize solutions in months, not years, because our low-code software requires little to no hand coding." Beesion, with offices in Latin America, Europe and the United States, is the pioneer of low-code telecom software. It offers more than 30 low-code software applications and solutions to help Communication Service Providers (CSPs) manage, monetize, and monitor their products and services. Beesion’s software requires little to no hand coding and is launched, supported and expanded up to 5x faster than traditional software.